Smith & Wesson Black Badge Knife | BUDK.com - Knives & Swords At The Lowest Prices! Featuring innovative designs in quality, trusted materials, this Smith & Wesson karambit-style neck knife features a razor-sharp, hawk-style stainless steel blade with a molded Zytel handle. 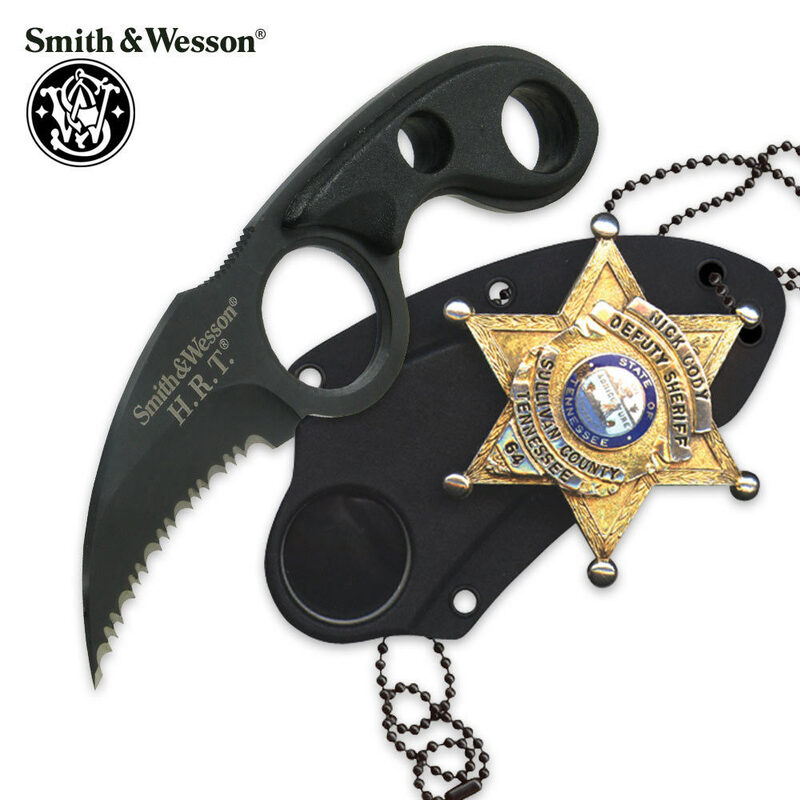 Wear it in the molded Kydex sheath with badge holder & neck chain.